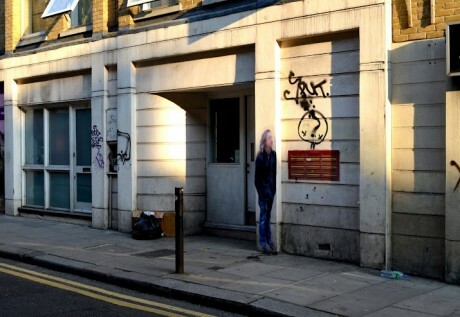 Street Ghosts is a project by Paolo Cirio where he hit some of the most important street art “halls of fame” with low-resolution, human scale posters of the people who happened to be in those spots as the Google Street View camera snapped them. 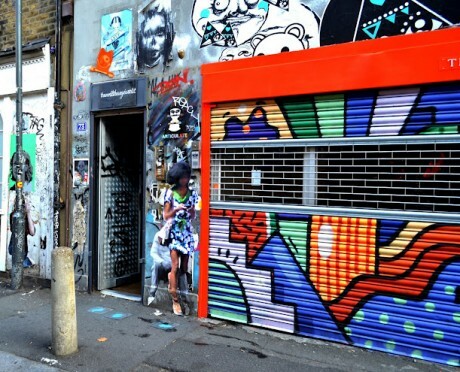 Printed in colour, on thin paper, the pieces are cut and fixed to the walls with wheatpaste of the public buildings in the precise spot, matching the image on GSV. 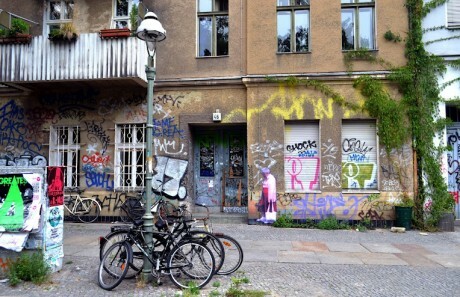 Street Ghosts has been on the hunt for the most visible people on the buildings with walls available for art interventions. The physical evidence of the ghosts’ appearance may vanish quickly, but its documentation will remain forever. I really enjoy this take on traditional street art, which takes the original form and ‘reposts’ it back into the environment it was once in. The figures depict a moment, captured by the Google camera, and with his work, Paolo has recreated this moment, albeit the layer which includes the person. There’s an interesting feature to the idea of a human snapshot, where the background is ever changing. 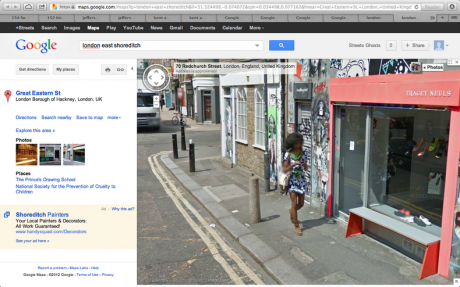 “In this project, I exposed the specters of Google’s eternal realm of private, misappropriated data: the bodies of people captured by Google’s Street View cameras, whose ghostly, virtual presence I marked in Street Art fashion at the precise spot in the real world where they were photographed.